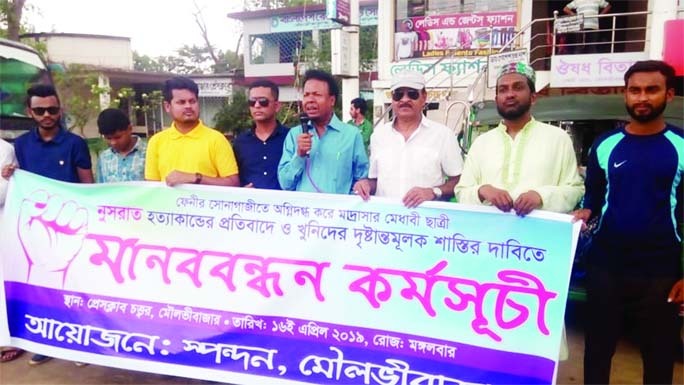 KHULNA: Jonouddog, a social welfare organisation formed a human chain at picture place intersection in the city demanding steps to eradicate mosquito menace on Monday. 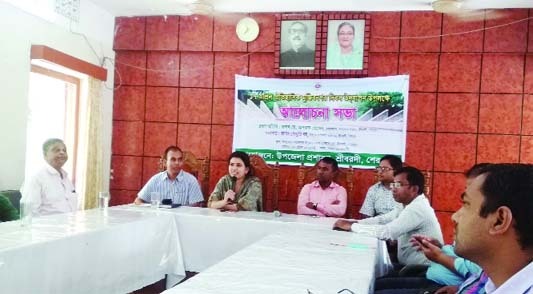 Mosquito menace has paralysed Khulna city dwellers' lives. KCC is allegedly refrain from spraying medicine to eradicate the mosquitoes . All section of the city dwellers are victimized with mosquito bite. Particularly HSC examinees are suffering a lot. They can not study well for mosquito menace. Some Khulna inhabitants alleged that due to reluctance of the officials and staffs of KCC, mosquitoes are increasing in Khulna city. 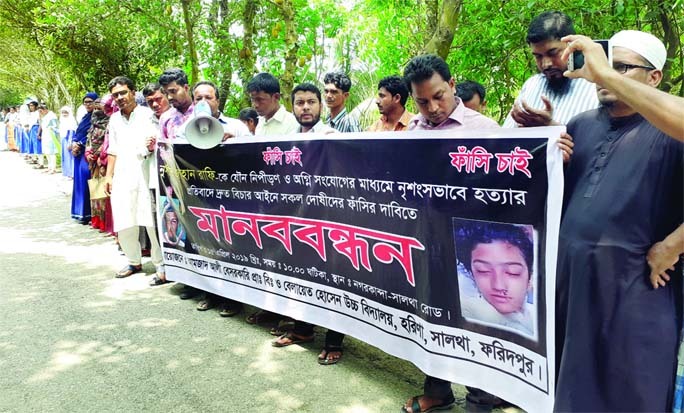 Sazzad Hossain, a HSC examinee of Khulna Public College told this correspondent that he could not prepare his lessons for the imminent examination due to buzzing and stinging by mosquitoes. Sharmin Sultana, another HSC examinee of Khulna Government Girls' College said, "I am not in a position to continue my studies as mosquitoes are making me troubles." Asaduzzaman Khan, a service holder said, "Mosquitoes are buzzing even by day and also night, as such we are facing problems in respect of conducting our daily works." Sultana Foyezun Nesa Ritu, a housewife of South Central road area in the city said, "Mosquitoes are disturbing us as well as our children, doctors prohibited to use globes ( Mosquito coils), so we are using mosquito curtain even by day with a view to protect ourselves from diseases." 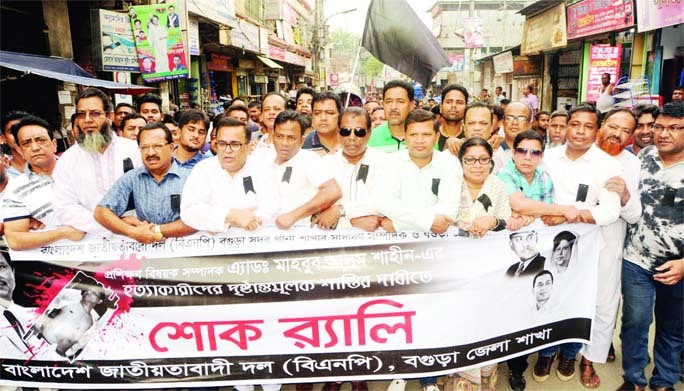 Recently some students of city's Boyra area observed an exceptional peaceful human chain in protest against mosquito menace for which they can not study well. Due to non cleansing drains and non spraying medicine, mosquitoes are spreading alarmingly ins and around the city, some city dwellers alleged. Some mosquitoes can transmit serious diseases including Malaria, Dengue, Yellow fever, West Nile Virus and even newly innovated Zika virus, according to physicians. Swarms of mosquitoes in residences, offices, educational institutions, markets, railway stations, bus terminals and in hospitals are making life worsen to the city dwellers. Without getting any other alternative, city dwellers are using anti-mosquito products which contain poisonous chemicals, harmful for human body. People particularly patients, women and children are facing immense suffering due to this problem. The initiatives taken by the authorities are inadequate to overcome this situation, city dwellers alleged. 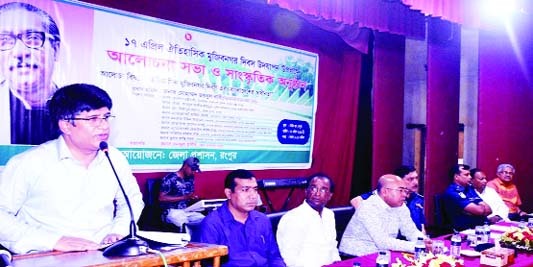 Abdul Aziz, chief Waste management Officer of Khulna City Corporation (KCC) said, crash program with a view to reduce mosquitoes was started from Yesterday (Tuesday) which will be continued till April 11, 2019 by using 30 Fogger machines. 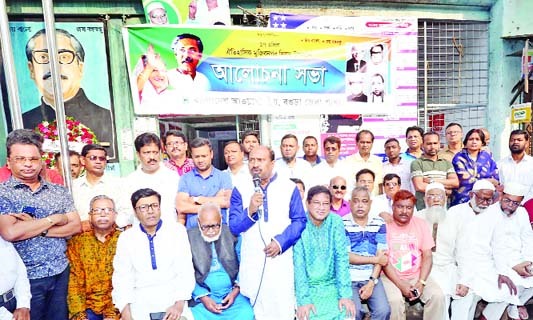 Meanwhile different organizations observed human chain demanding speedy reduce of mosquitoes from Khulna.